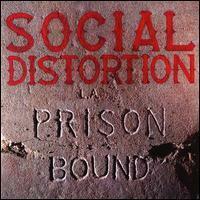 Prison Bound is the second studio album by Social Distortion, was released in 1988. This is the first album with bass guitarist John Maurer and drummer Christopher Reece. It expands upon the punk sound of the band's highly regarded but commercially unsuccessful first album Mommy's Little Monster (1983) by adding elements of Johnny Cash style country and The Rolling Stones style rock and roll.